Tell the FDA to Put Health Ahead of Profits! Drug prices are skyrocketing — and Big Pharma is raking in record profits. Meanwhile, health care costs are increasing for all Americans. Big Pharma spends billions of dollars on misleading advertisements to convince people to seek out overpriced drugs that don’t work or they don’t need. Women urgently need an independent advocate they can trust. That advocate is the National Women’s Health Network. We can’t do it alone, though. More than ever the Network’s success depends on dedicated members like you. Help the Network safeguard women from the pharmaceutical industry’s dangerous products and predatory marketing. 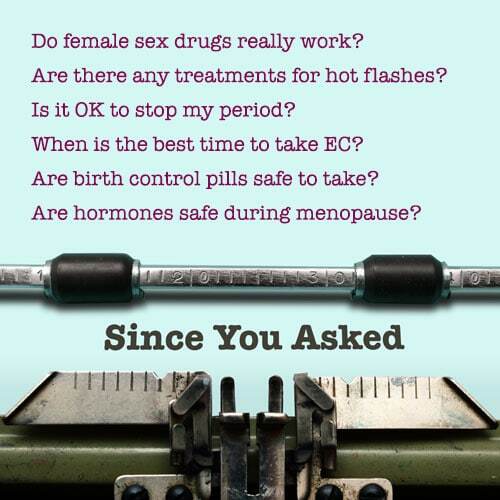 From drugs that are unsafe and ineffective like Addyi to harmful birth control devices like Essure, the Network is demanding the FDA listen to women and not Big Pharma. We need your help to fight back with the truth! The Network’s entire budget is a fraction of what pharmaceutical companies spend on marketing every year. I am counting on your support to make sure women know the facts. Thank you for allowing the Network to be a tireless watchdog for your health!